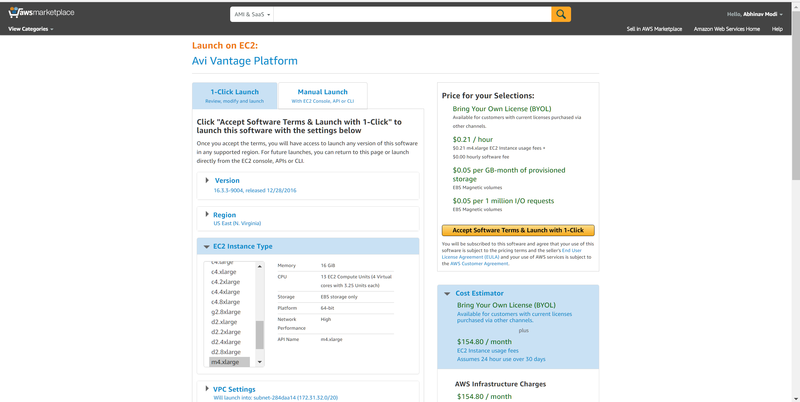 This guide describes how to install an Amazon Web Services (AWS) EC2 instance of Avi Vantage. This installation guide discusses how to integrate Avi Vantage with Amazon Elastic Compute Cloud (Amazon EC2) instances. The Amazon EC2 is one of the services provided by Amazon Web Service (AWS). 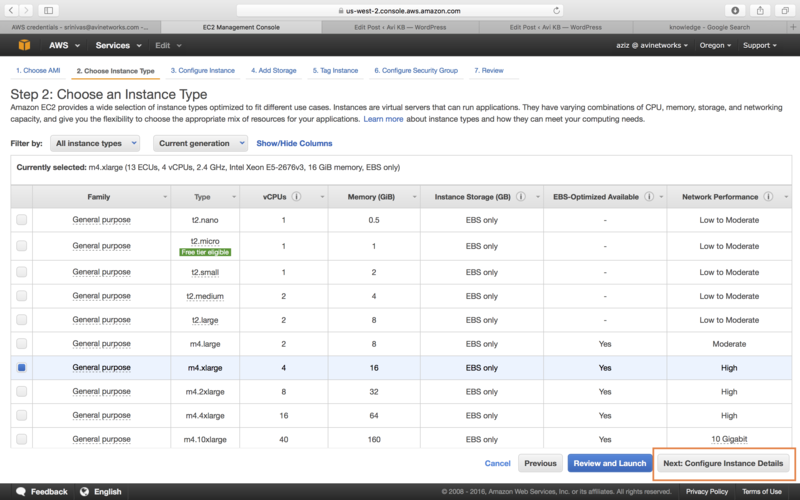 Amazon EC2 instance types comprise various combination of memory, storage, CPU, and networking capacity. 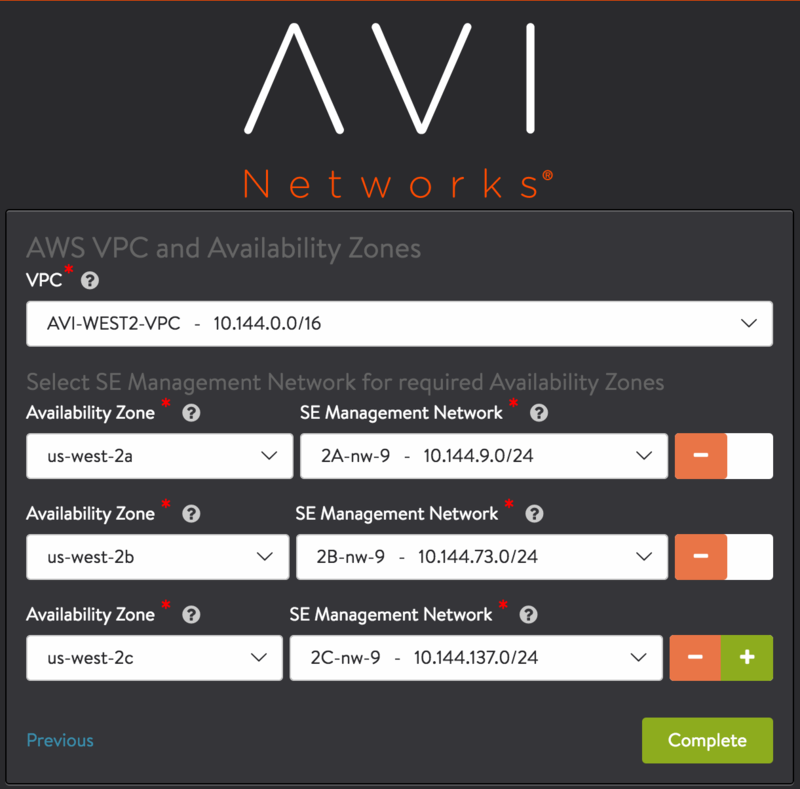 The integration of the Amazon EC2 instances with Avi Vantage provides flexibility to choose from a varied range of resources based on the an application or user requirements. Avi Vantage offers elastic application services that extend beyond load balancing to deliver real-time application and security insights, simplify troubleshooting, auto scale predictively, and enable developer self-service and automation in Amazon Web Services. 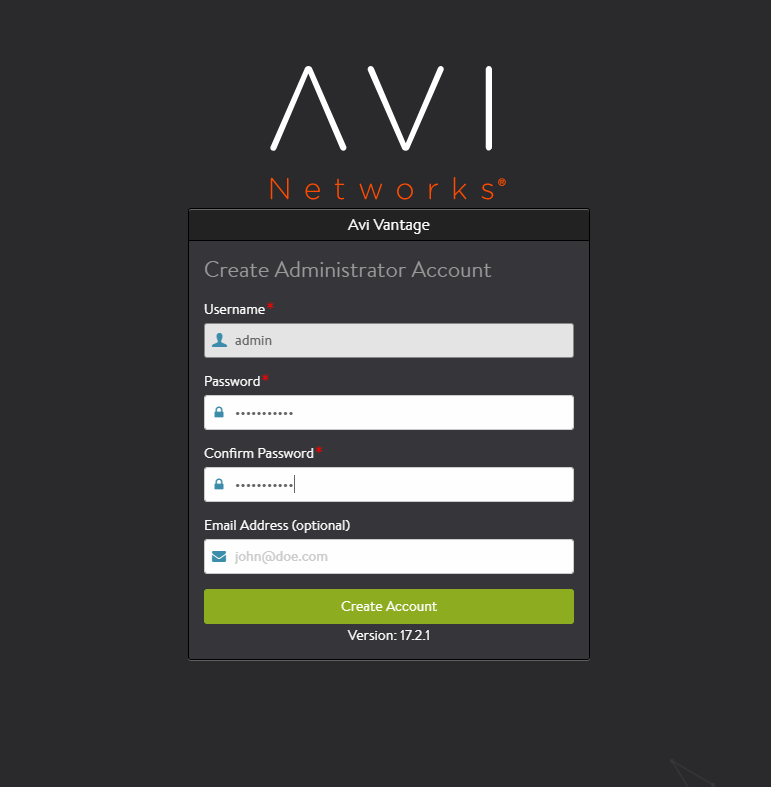 The Avi Vantage Platform has three core components – Avi Service Engines, Avi Controller cluster, and Avi Admin Console. The Avi Controller analyzes traffic and, based on real-time analytics, can scale out / scale in SEs to load-balance traffic that may vary over time. Avi Service Engines (SEs) handle all data plane operations within Avi Vantage by receiving and executing instructions from the Controller. The SEs perform load balancing and all client- and server-facing network interactions. 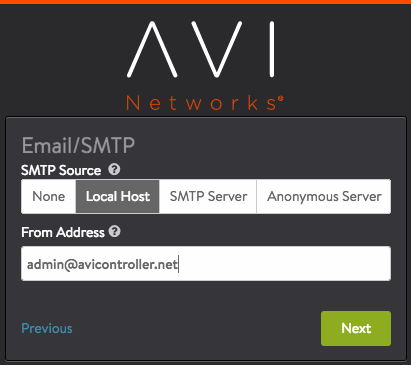 The Avi Console is a modern web-based user interface that provides role-based access to control, manage and monitor applications. For more information on Avi Vantage’s components, refer to Avi Vantage Architectural Overview. Avi Controller and Avi Service Engines use specific ports for management and network services. The firewall should allow traffic for these ports. Note: vmimport role is mandatory for installing an Avi Vantage in AWS. This role enables an Avi SE VM to be imported into AWS. Without this IAM role, the Avi SE cannot be launched. This role is associated with the AWS account (not with the Avi Controller). When importing this role, name must be specified as “vmimport-role-trust”. 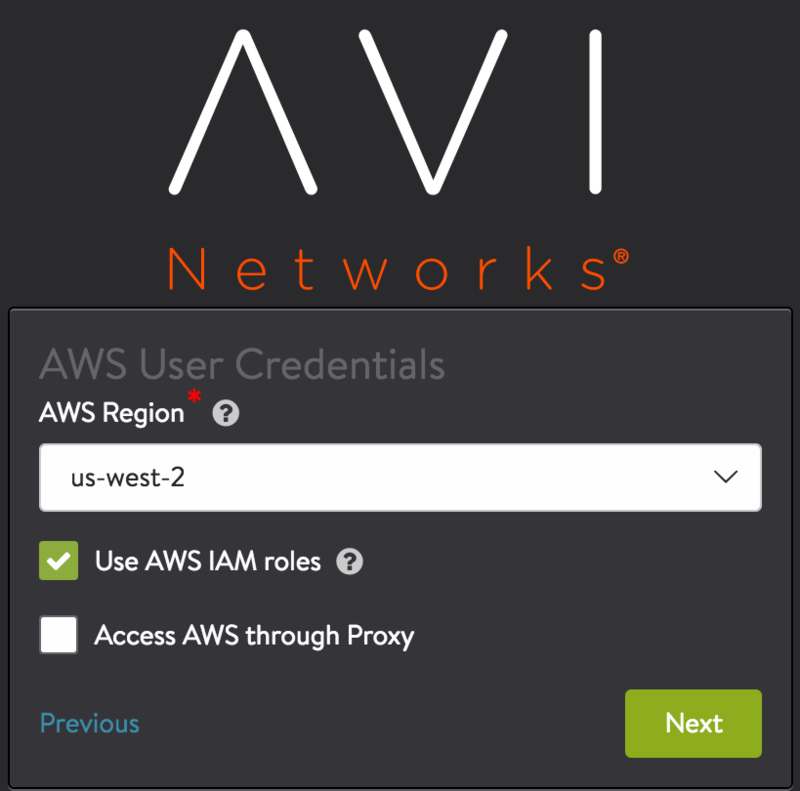 For more details on IAM roles, refer to IAM Role Setup for Installation into AWS..
AWS customer account key: A unique authentication key associated with the AWS account. 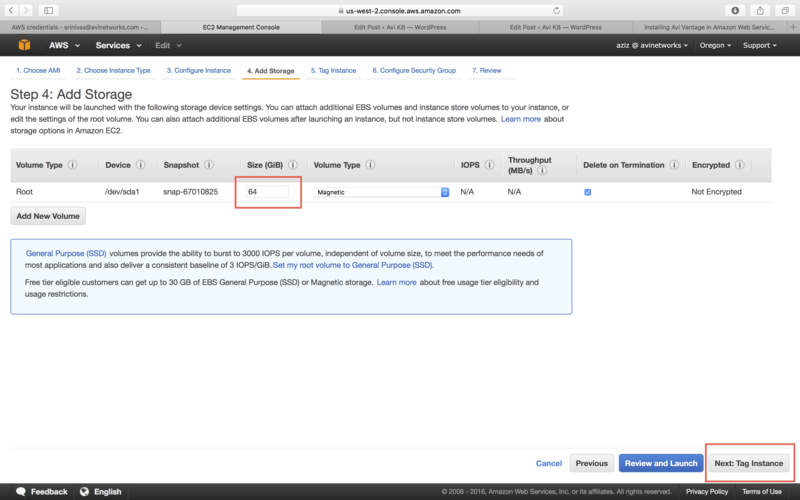 For deploying AWS on Avi Vantage, To obtain If using this method, continue reading. For recommendations regarding using access key on AWS, refer to https://docs.aws.amazon.com/general/latest/gr/managing-aws-access-keys.html. 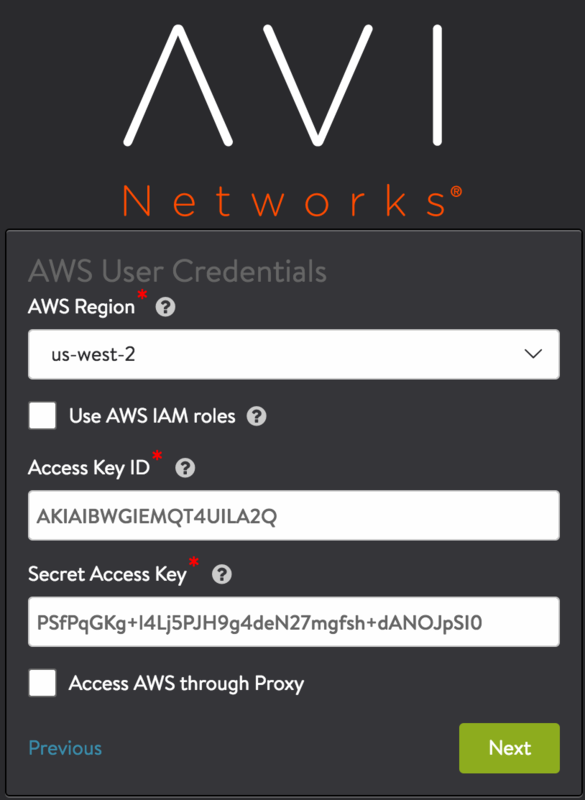 Use Cross-Account AssumeRole: Avi Vantage can be deployed for Amazon Web Services (AWS) with multiple AWS accounts utilizing the IAM AssumeRole functionality that provides access across AWS accounts to the AWS resources/API from the respective accounts, instead of sharing user Access Key ID and Secret Access Key from different accounts. For the detailed information on Cross-Account AssumeRole, refer to AWS Cross-Account AssumeRole Support. Knowledge of AWS VPC (Virtual Private Cloud) is required for configuring your network space (e.g., availability zone, subnets of Controller and SEs). All IP addresses (e.g., Controller management IP, SE management IP, virtual service IPs, and server IP addresses) need to be planned and configured accordingly. The following table lists the minimum requirements for the VMs on which the Avi Controller and Avi SEs are installed. Refer to the section Disk Capacity Allocation on the Avi Controller Sizing KB for recommended hard disk size. 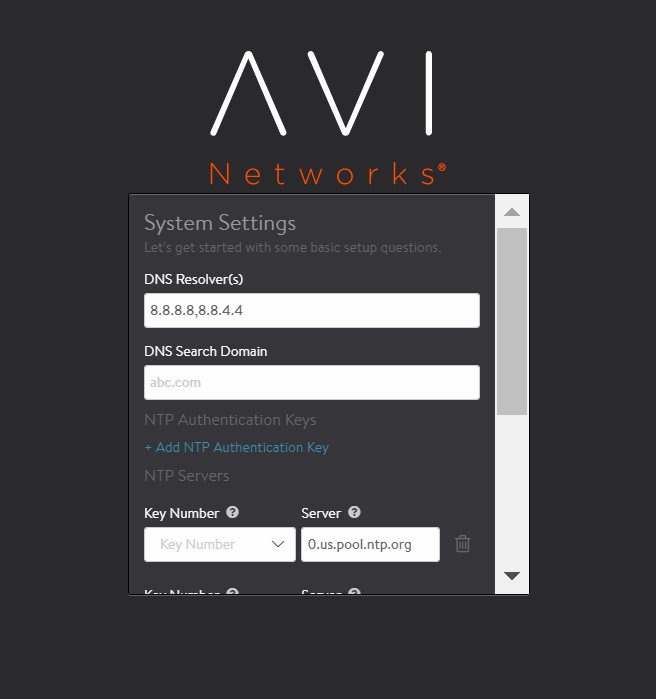 For added resiliency and redundancy, the Avi Controller can be deployed as a 3-node cluster. [See Overview of Avi Vantage High Availability.] In this case, a separate VM is needed for each of the 3 Avi Controller nodes. The requirements are the same for each node. Note: vmimport role is mandatory for installing Avi Vantage in AWS. For more details on IAM role refer to IAM Role Setup for Installation into AWS. To install Avi Vantage in AWS, deploy an EC2 instance of the Avi Controller and then run the Avi Controller setup wizard. Access Amazon Web Services (AWS) using https://aws.amazon.com and log in using your AWS credentials. Go to the Avi Vantage page on AWS Marketplace here. 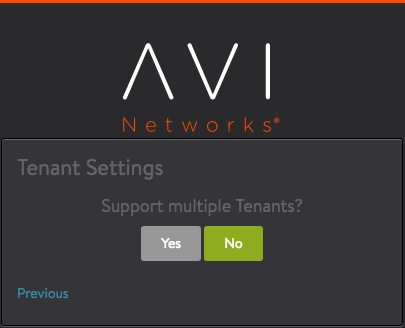 Click Continue to start the AMI deployment process. 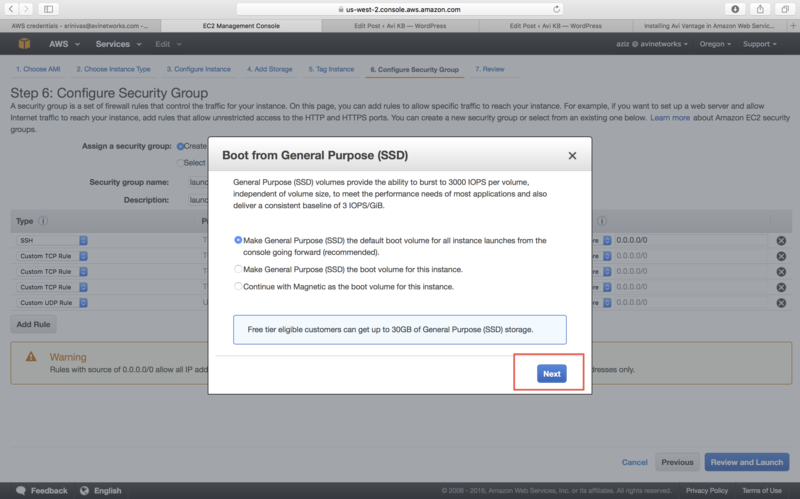 You can either perform a 1-Click launch or a Manual Launch via the EC2 console, API, or CLI. 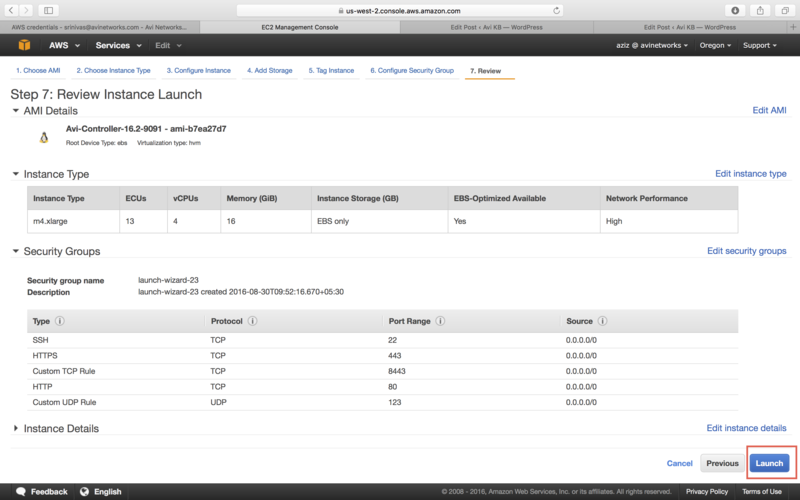 The subsequent screenshots below go through the Manual (EC2 Console) installation process. Based on the deployment scale considerations, choose an appropriate instance type. Amazon defines its EC2 instance types here. Refer to the Minimum Requirements and Recommendations section for minimum requirements and recommendations as mentioned previously. The below example shows a choice of 4 CPUs and 16 GB memory. Select the appropriate VPC from the Network pull-down list and select the network from the Subnet pull-down list. This is the subnet in which the Controller will get the IP for the management NIC. Also, select the Enable termination protection option. Note: If installing with an IAM role instead of an AWS customer account key, select IAM role if you have created as explained in Credential Method. In this example we have used the IAM Role AviController-Refined-Role. In the Size (G/B) field, enter 64 to allocate 64 GB to the Avi Controller instance, and go to the “Next:Tag Instance” option. Enter a name for this Avi Controller instance. Create a security group that allows traffic through the firewall, to allow management communication between the Avi Controller and the Avi Service Engines (SEs). 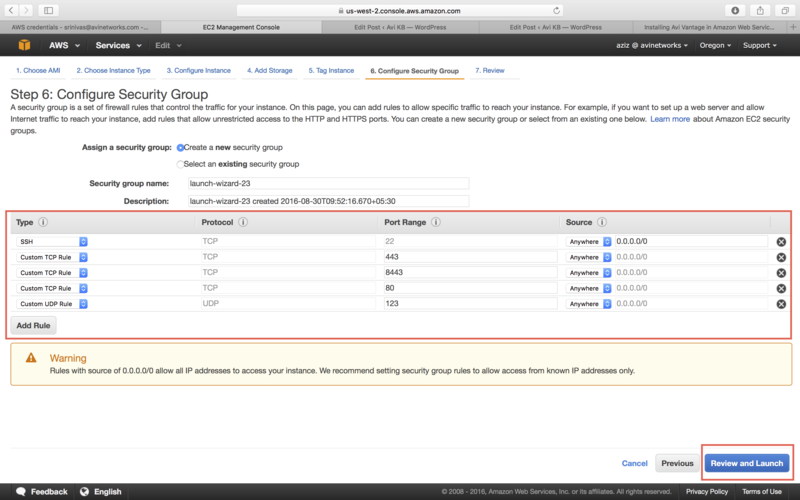 To know more, refer to Security Groups in AWS. 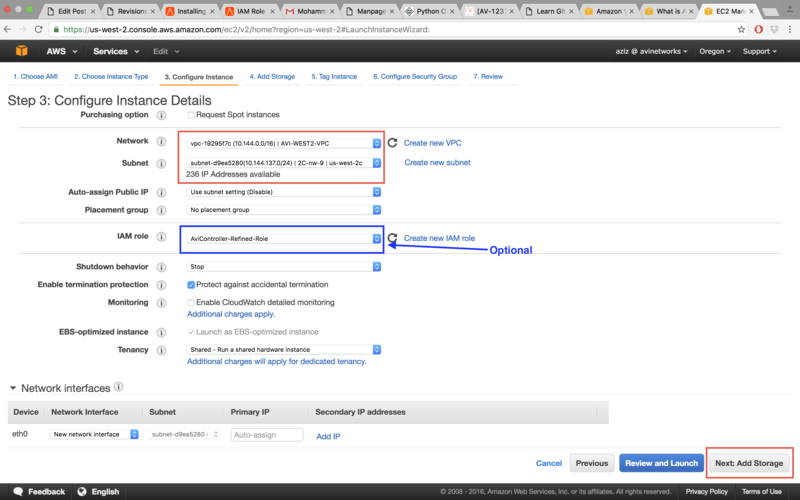 Review your EC2 instance, and click Launch. If you don’t have key pair, create new key pair. After downloading the key pair, change the permissions to “400” (chmod 400 “.pem”) to do SSH. If you have key pair, select a key pair for AMI authentication. 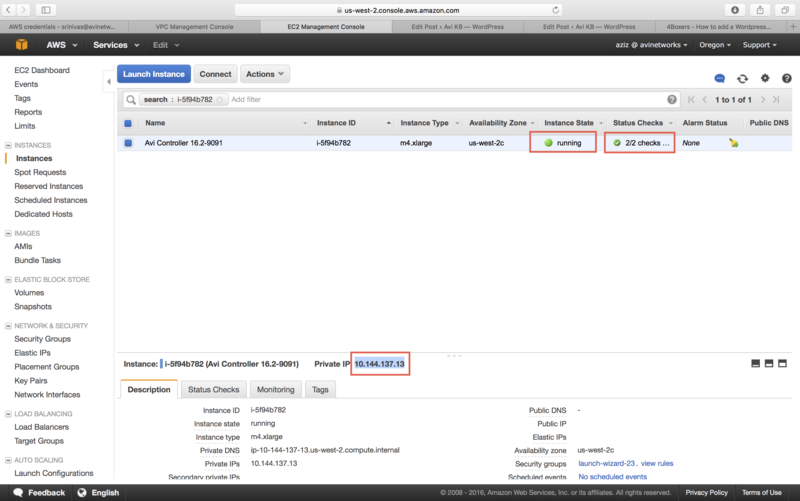 The deployment status of the Avi Controller EC2 instance into AWS is displayed. When the instance is ready (status “running”), you can access the instance using a private or public IP address. Wait for all checks to pass before setting up the Controller. After deploying an EC2 instance of the Avi Controller, use a browser to navigate to the Avi Controller’s management IP address (10.144.137.13 for our case as shown in the previous steps) to start the setup wizard. Follow the below steps to complete the initial configuration. Provide credentials for the administrator account (Username: admin). Provide details for DNS and NTP Settings (This information can be entered later on too). Provide the desired email address for sending alerts from the controller (Can be set up at a later stage). 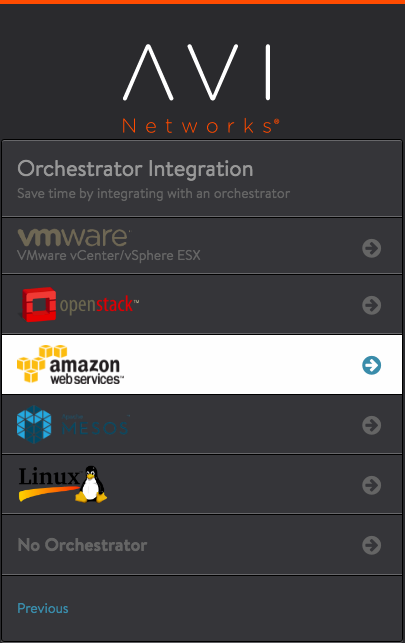 Select Amazon Web Services as the infrastructure type. 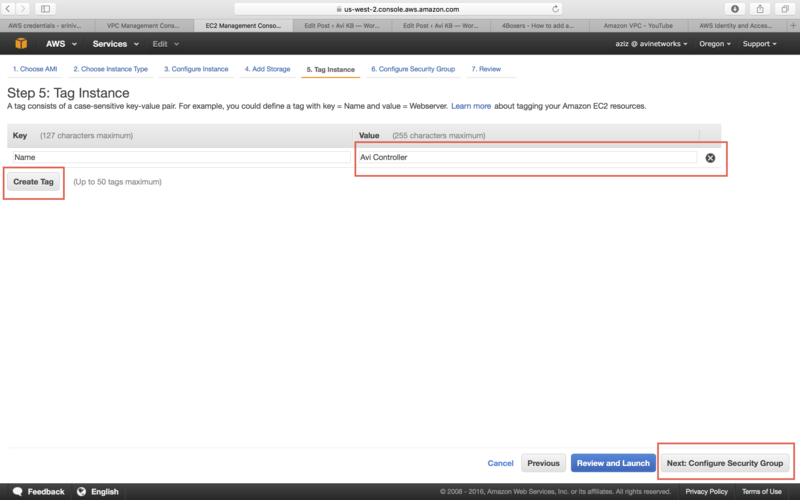 Enter AWS account settings: Access credentials are needed by the Avi Controller to communicate with AWS API. Enter the access key and secret access key. 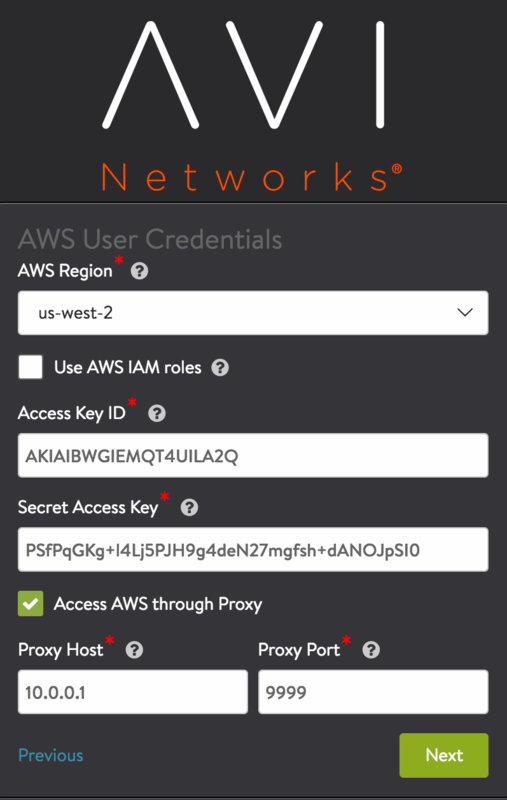 (Optional) Proxy Host and Proxy Port: Complete these fields if there is a custom proxy between your corporate network and AWS. If using an IAM role, instead select Use AWS IAM Roles. Configure SE Management Network. This is the subnet in which the Controller will place the management VNIC of SEs. The management network of SE should be reachable from Controller management IP. Note: While creating virtual service, make sure to select a VIP subnet that has reachability to the SE’s management subnet. To verify the installation, navigate to Infrastructure > Clouds, click Default-Cloud, and then click the Status button. Status should turn green, indicating the installation was successful. This completes the installation process. The Avi Controller is now ready for deploying virtual services. Avi Service Engines are deployed on AWS automatically by the Avi Controller, as required for the virtual services that have been configured. Avi SEs can be run on various Instance Types. For configuration, navigate to Infrastucture > Service Engine Group, click on the edit option, and select the Advanced tab. On a per-instance-type basis this AWS table shows the maximum number of network interfaces, as well as the maximum number of IPv4 and IPv6 addresses per interface. The below table shows the maximum SSL TPS performance achievable on some EC2 instance types. Currently Avi uses 1 data vNIC for all data traffic. This is apart from the 1 vNIC used for control-plane communication with the Avi Controllers and other Service Engines. SSL performance (TPS - transactions per second) has been measured with 1 virtual service configured (HTTPS, EC certificate) and GET requests for a 128-byte payload without session reuse. More details regarding Service Engine performance can be found here. Server-Side Encryption (SSE) of Amazon Simple Queue Service (SQS) message queues is supported by Avi Vantage starting in release 17.2.8. Encrypting a queue does not encrypt backlogged messages, nor does turning off encryption remove encryption from backlogged messages. SQS queue encryption is supported only in 3 AWS regions as of the time of this writing: US EAST (N. Virginia), US EAST (Ohio), and US WEST (Oregon). Amazon EBS encryption is a solution offered to encrypt EBS volumes. Encrypting EBS volumes and attaching it to the supported instance type encrypts the data inside the volume, all data moving between the volume and the instance, all snapshots created from the volume, and all volumes created from those snapshots. Starting release 17.2.3, Avi Vantage supports enabling EBS and S3 encryption using AWS SSE-KMS which encrypts the Amazon Machine Image (AMI). For more information on Amazon EBS encryption support, refer to Amazon EBS Encryption Support in Avi Vantage.